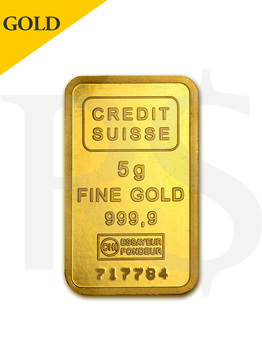 The Credit Suisse Gold Bar is one of the most popular gold bars in the world. Minted by the prestigious Credit Suisse Group, these bars carry the backing of one of the most recognizable international brands as well as Switzerland’s reputation for high quality bullion. The Credit Suisse Group is a Swiss financial holdings company that dates back to 1856. The company has become an international banking powerhouse, but is a larger producer in precious metals as well. Credit Suisse Group is currently headquartered in Zurich, Switzerland. Each Credits Suisse Gold Bar carries a unique serial number and is backed by the Bank of Switzerland. Credit Suisse was initially established to aid in the construction of Switzerland’s railway system. Through the first several decades of its existence, the “Swiss Credit Institution” (as it was then called) evolved and became an integral part of Switzerland’s development. The company is credited with aiding in the creation of the Swiss currency, funding Swiss entrepreneurs and helping develop the reputation of Swiss banking. The first Credit Suisse Gold Bars were made available to world markets in 1979. They have been produced non-stop ever since, and have come in an increasingly wide variety of sizes. 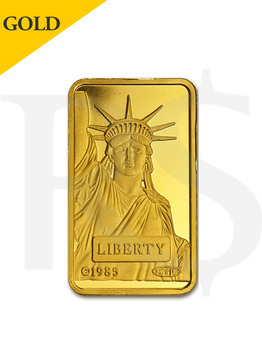 These bars quickly gained a reputation as one of the most secure, affordable ways to own physical gold. Credit Suisse Gold Bars are produced at the Valcambi refinery in Switzerland. Individual bars are presented in a sealed protective plastic.